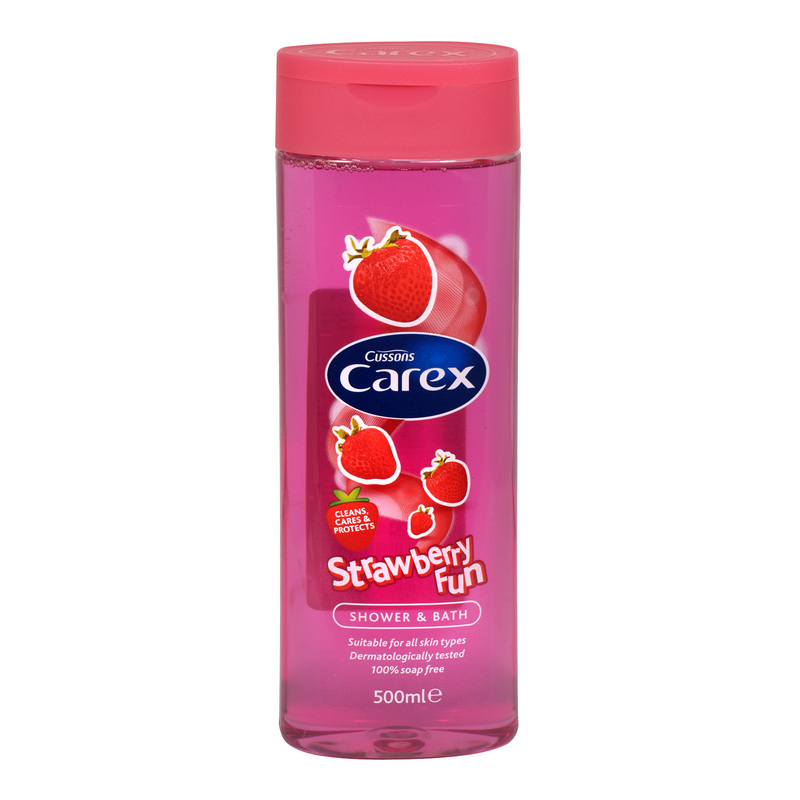 Make cleaning fun with this brilliant scented shower and bath wash.
Carex have managed to make their wash smell exactly like strawberry. In doing so, they have created a fantastic product that makes you smell great after washing, and is 100% soap free. Dermatologically tested product which is suitable for all skin types. Ideal for using in the shower or bath, you can now smell sweet and feel clean at the same time.